Yes, Oak Ridge is finally going to have a new preschool and senior center. In the City’s 75th birthday year, the city government is investing for the future. Council voted last Thursday to award construction contracts for the projects. Work should start in a couple of weeks. The preschool project will include construction of new recreation facilities in Scarboro Park (basketball courts, ball field, tennis court, pavilion and paved walking trails), where the school will be built. 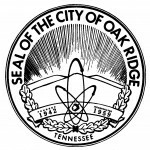 Read about the meeting at Oak Ridge Today or The Oak Ridger, or watch the video on the city website. The Progress PAC’s third question was about patching the relationship between Oak Ridge City Council and the Oak Ridge Board of Education. My submitted response is below. At the October 1 forum conducted by the PTA-PTO Council, I was pleased to hear several school board candidates make statements that suggest they are thinking along similar lines. Question 3: The relationship between the Board of Education and City Council has been strained. What is your plan to help build consensus between the two bodies? My response: The strain in the relationship between the city and the schools has the same cause as many breakdowns within loving families: poor communication about money. To repair the relationship, we need to establish open, honest, and timely communication about budgets and money. Discussions should not be just between the Board and the Council, but also must involve staff of both organizations –- the people who develop budgets and can explain the details. Ground rules are needed for these communications before they begin. Among these ground rules, I would like to see the Board accept that Council must make decisions that balance between all of the competing priorities for city money (including city operations, schools, capital needs, and the desire to minimize property taxes), and that a full understanding of the “innards” of the school budget (and the reasons for various expenditures) may be necessary to help Council weigh the Board’s funding requests against the other competing priorities. On the other hand, Council needs to agree that it has no authority to direct or interfere with Board decisions on how it spends the school budget or on how the schools are run. Ground rules should also include strong admonitions not to make personal statements critical of other participants – or other remarks that personalize the discussion. I support the Council’s plan to re-establish a budget and finance committee in which Council members can study and discuss budgetary matters related to the entire city government and the schools. I think that meetings of this committee (which are public meetings) will provide the right setting for the two bodies to begin new conversations about money. Even if all members of both bodies are in attendance, I believe that the setting of a working committee (rather than a formal meeting of the full memberships of both bodies) should help to minimize posturing and grandstanding by individual members of the Board and Council, which has sometimes impeded meaningful communication in the past. Early discussions (starting soon after the November election) are needed, so that neither the Council or the Board will be surprised by the other body at budget time in May and June. It’s happened several times lately. The Knoxville News Sentinel runs a story about some sort of statistics from area school districts, covering Knox County, Anderson County, Blount County, Maryville, Lenoir City, Loudon County, Sevier County, Claiborne County, etc. — but where’s Oak Ridge? Today’s story is on bullying. Oak Ridge data are included in the state report that’s the basis for the story, so I can’t help but wonder if the newspaper’s education reporters are unaware that Oak Ridge has its own school system, separate from the county. The Oak Ridge numbers are way below the 182 reported bullying cases (all of which were confirmed) in Knox County or the 150 reported cases in Lenoir City (71 confirmed) or the 129 reported cases (53 confirmed) in Anderson County. Maybe the reporters didn’t find Oak Ridge’s statistics interesting enough to report because there were so few bullying incidents. Good-news stories about the absence of problems don’t sell newspapers. The story they didn’t print is good news. Based on my experience as a parent — and before that as a kid — Oak Ridge’s numbers seem unrealistically low (maybe our schools don’t use the same definition of “bullying” as some of those other school districts). However, I’m pleased (and not surprised) by this indication that our schools are generally orderly and our students are mostly well-behaved. (This is not a school system that’s out of control.) Too bad that the readers of the News Sentinel aren’t reading this good news. There is no question that different districts are using different definitions of “bullying” and what it takes to confirm a case. For example, is a physical altercation in the schoolyard between two boys, followed by a verbal threat of “I’m gonna kill you” an incident of bullying (I think it probably is) or just a case of “boys being boys” (the way school authorities have been known to interpret this kind of situation)? In this area, Maryville and Union County both claim zero reported cases of bullying — it seems highly unlikely that nobody reported a bullying incident in an entire school year. Considering that bullying is often a case of “he said, she said” (or “she said, she said”, etc. ), it also seems unlikely that Knox County didn’t have any bullying reports that school officials didn’t confirm. Statewide, my calculations indicate that there were 0.008 bullying reports per enrolled student. Anderson County, Lenoir City, Roane County, and Sevier County statistics show higher rates than that state average (Lenoir City is highest of this group, at 0.068 reported cases per student). Alcoa, Blount County, Clinton, Knox County, Loudon County, Morgan County, and Oak Ridge report rates below the state average. Oak Ridge and Knox County both had about 0.003 reports per student. Note: In case you care, the enrollment numbers I used in those calculations were “average daily membership” numbers for the 2011-2012 school year — the most recent compilation I found. I had an EQAB work session earlier, but now I’m at the City Council meeting, having arrived late. I’m not going to live-blog this one, but I can do bit of real-time reporting. Now the item on the agenda is the FY 2014 budget — for the fiscal year starting July 1. First item of discussion is the school system’s request for city financial support for additional school resource officers (SROs). City Manager Mark Watson says the schools request doesn’t account for the cost of police cars for the additional officers that would be hired. Federal grants exist for school policing, and the city will apply for a grant that could help pay for new officers and equipment. Charlie Hensley suggests waiting until we know about a grant (in the summer) until making a decision on this item. Also, Chuck Hope wants the details of a Memorandum of Understanding (MOU) with the schools to be hammered out before making any decision on funding for additional officers in the schools. Chuck also wonders if the SROs need patrol vehicles. Police chief Jim Akagi says that it’s important to have a vehicle, but Chuck thinks it might be possible to outfit a vehicle that’s not fully suited for patrol use. 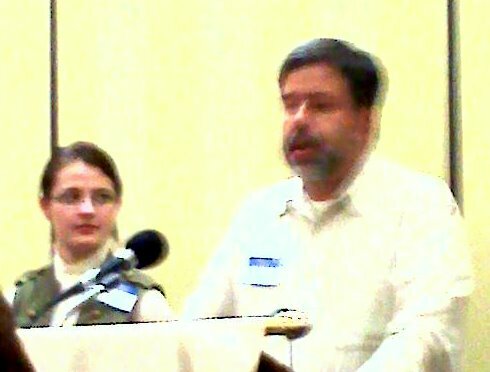 Mark Watson agrees that several things, including the MOU, are pending and need to be sorted out before this is resolved. Now, at 9:17 pm, there’s a vote on a motion by Trina Baughn to reduce the property tax rate by 1 cent. It fails by a vote of 4-2 (Baughn and Hope voted for), with Anne Garcia Garland abstaining. The full budget passed without further discussion. It’s 9:23 PM, and there’s a vote to fill an unexpired term on the Municipal Planning Commission. Candidates are Sheldon Green, Andrew Howe, Martin McBride, and Hugh Ward. Votes: Mosby for Green, Hensley for Ward, Miller for Green, Beehan for Green, Hope for Green, Baughn for McBride, and Garcia Garland for Howe. Sheldon Green is the new Planning Commission member. At Oak Ridge Today, I was asked how I would vote on the Oak Ridge Schools budget tomorrow evening if I were a member of City Council. The commenter requested a yes-no answer, but they aren’t going to get one. I don’t have the same information that Council members have right now, so I can’t be sure what I’d be thinking or how I’d plan to vote if I were on City Council. The only budget request I’ve seen from the schools is the board’s budget and I haven’t been privy to the messages that I know Council members are getting from citizens, school officials, and city staff. It’s a safe bet that Council members are hearing from folks who want them to increase the amount (by how much, I can’t say) that the city government transfers to the schools, and that this is being requested so that the schools can restore some teaching positions that would otherwise be cut under the schools budget for the 2013-2014 school year. So what do I think? I’m distressed by news reports that indicate that school budget cuts will cut into some “meat and bones,” including laying off some teachers. The reductions are partly justified by lower K-12 enrollment projections and interim superintendent Bob Smallridge says that impacts on the instructional program will be minimal, but I can’t avoid thinking that these reductions will reduce the school system’s ability to meet our kids’ needs. However, I also have to assume that an increase in the city transfer to the schools would mean increasing the city property tax rate above the current rate of $2.39 per $100 assessed value. Because Oak Ridgers value our quality school system, many residents would gladly pay more tax to avoid cuts to the schools. At the same time, though, a tax increase would be a burden on some citizens and would make Oak Ridge a little less competitive with surrounding communities with lower taxes. Therefore, Council needs to look extremely carefully at what Oak Ridgers will get for their money if the city decides to increase property taxes in order to send more money to the schools. Under Oak Ridge’s city charter, the City Council can’t amend the Oak Ridge Schools budget or tell the school system how to spend its money. However, if City Council is asked to increase property taxes to augment the school budget, City Council needs to ask hard questions — and get good answers to those questions — to provide assurance that any extra funding for the schools will go to address the needs of students, not the needs of administrators. Also, it’s high time for the school administration and city administration to get serious about something that Council members pushed for over the last several years — exploring opportunities to improve the efficiency of Oak Ridge’s public enterprise (that is, city government and the school district) by sharing resources in functions like facility maintenance and purchasing. 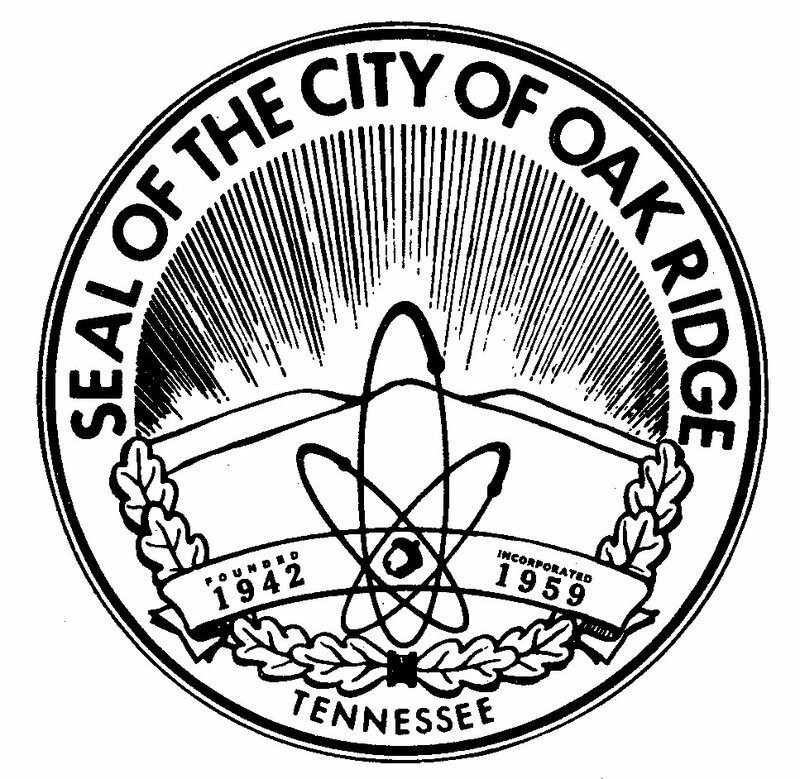 I know that all Council members value Oak Ridge’s schools and want the best for them, but unless better answers are forthcoming than I saw over the last several years, I’m afraid that Council will feel they must say “no” to a school system request for additional funds. I don’t know who is spreading the rumor, but it isn’t true. I have never proposed and I do not support merging Oak Ridge Schools into one of the county systems. Apparently a rumor is going around that makes the absurd claim that I want to combine our schools with one of the county systems. That would be a bad idea — and it’s a bad rumor. 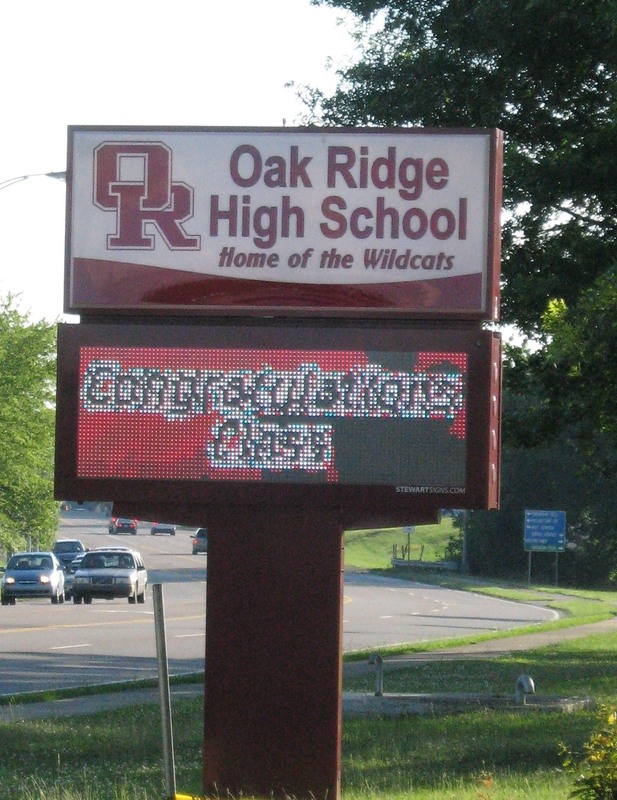 The excellent Oak Ridge Schools are one of the city’s greatest strengths and a source of community pride. Throughout the city’s history, Oak Ridge parents (myself included) have had high expectations for their children’s education and have held the schools to the highest standards. I believe that most citizens favor continuing the high level of financial support that our city has traditionally provided — and continues to provide — to its schools. For me, and most Oak Ridgers, it would be unthinkable to give our fine city school system to one of the county systems — systems that serve communities with different educational expectations and that provide much less funding per pupil. The August 2004 referendum, in which Oak Ridgers voted overwhelmingly for a 1/2 sales tax increase dedicated to high school renovation, showed the breadth and intensity of public support for our city schools. I was shocked when, several months ago, some city residents began to tell me that they thought that Oak Ridge Schools should be consolidated into the Anderson County system. The first time I heard this, my reaction was disbelief (how could anyone even consider it?). After I heard the idea from several more people, I realized that people considered this a serious idea. I interpreted it as a indication that some of my fellow citizens were losing confidence in our school system. The people who suggested school district consolidation to me were particularly concerned about two things: (1) continuing growth in the school budget, even while enrollment was falling, and (2) the news that the portion of that 1/2-cent sales tax that is now collected by the county and distributed to the Oak Ridge Schools was no longer being made available to help pay the debt for the high school project. I have a guess about where the bad rumor got started. At a public meeting earlier this year involving City Council and Board of Education members, I commented that the school system’s unwillingness to use county sales tax for the high school debt could undermine public support for the schools (because it means breaking the promise made a the time of the sales tax referendum, that the school project would not require a property tax increase). I mentioned the shocking suggestion I had heard from citizens (that is, other people) that the schools should be “given” to the county as a disturbing indication of erosion of public support for the schools. 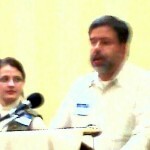 Maybe my words were grossly misinterpreted by someone who was in the room but was only half-listening. Regardless of how the rumor started, it isn’t true — and I hope people will stop repeating it. With school starting up for the year, everywhere I turn somebody is talking about standardized testing in schools. Oak Ridge schools are making TCAP test scores count for a fraction of kids’ grades (not the school board’s idea — it’s a state mandate! ), Tennessee is requesting a waiver from the No Child Left Behind requirements, and Clay Bennett’s editorial cartoon from the Chattanooga paper reminds us that testing often seems to be what today’s schools are all about. Outsiders and residents both evaluate a community on its kids’ test scores, and I have no doubt that test scores are increasingly affecting kids’ sense of self-worth. I was pleased to read that the State of New York is working to improve its standardized tests by eliminating “gotcha”-type multiple-choice questions and requiring use of a readable font. I hope that other states (like Tennessee) follow suit. As a kid, I was a “great test taker” who was good at those “gotcha” questions, but as an adult I’ve learned that multiple-choice tests can be a minefield for many students who are well-prepared — particularly those with dyslexia or similar challenges. Making tests more straightforward is one small step toward reducing their tail-wagging-the-dog dominance of our school systems. Publicity in town hasn’t exactly been overwhelming, but Thursday night the Oak Ridge High School Masquers organization takes the stage again for the first time in several years, performing “Better Football Through High School Chemistry” in the ORHS auditorium. Different sources give different schedules, but I think the show starts at 7 pm 7:30 pm Thursday (11/11) and Saturday (11/13). There’s a matinee performance on Sunday at 2 pm, preceded (according to the ORHS website) by a “tailgate party” at 1 pm (burgers, chips, and soft drinks). Tickets are $5 for students, $7 for adults. Chemistry teacher Vidal Moreno, who is a faculty sponsor, and Samantha Senn (ORHS ’06 and a UTK grad with a theatre major), who is working to revive Masquers this year, told Oak Ridge Altrusa all about it on Wednesday. Ashley’s tragic death in early November focused attention on the safety of our children when they travel back and forth to school. City Council cannot tell the school system how to operate its busing program, but all of us have a right to an opinion on the subject. Some people are saying that every child should be able to ride the bus, regardless of where they live. I don’t share that view. I think it’s healthy (both physically and economically) to encourage kids to walk, if (and only if) they have a safe walking route to school (something that not all of our kids have right now). When the schools cut out busing for kids within a mile, I was disappointed that the schools did not tailor the bus zones so that kids would not need to cross dangerous streets and intersections. Further, it was clear to me from the walking-zone street lists that they had been developed without much ground-truthing (for example, Mona Lane — which was eliminated several years ago — was listed as a walking street for Linden School, and my house was apparently eligible for bus service to Linden because we are a mile from the school by street, although the walking distance is much less than that because there’s a sidewalk-only back entrance to Linden from Montclair Road). That indicated to me that the lists were made by an automated process, and no responsible adult had investigated the situation from a kid’s perspective to make sure the new plan was reasonable. I’m relieved that elementary school kids now have (limited) bus access (although I’ve told Dr. Bailey that it was silly to place a bus stop on Montclair Road at the back entrance to Linden) and that kids in the “garden apartments” (Rolling Hills apartments) area can now ride the bus to Robertsville, so they won’t have to cross Oak Ridge Turnpike. 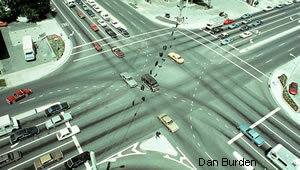 These changes address the most hazardous situations in which children were being asked to walk. I’m also relieved that there is now a “school zone” speed limit on Illinois Avenue near Robertsville Road, but that intersection is still a treacherous one (as Trina has frequently pointed out). If there are particular issues in other areas, I hope that parents are telling school officials about them. However, instead of protecting kids by putting them in buses, my personal long-term vision for the city includes making it walkable and bikeable — for our kids and for all of us. In skimming online information about the “Safe Routes to School” initiative, I was chagrined to see that several of the “what’s wrong with this picture” situations could have been illustrated by photos in Oak Ridge (for example, photo on the right, which was captioned “Elementary school children should not have to walk across wide, complex intersections like these for their school commute” on the Tools to Reduce Crossing Distances for Pedestrians page.) See What’s Wrong With This Picture for more photos that could be from Oak Ridge, such as cars parked on the sidewalk and bushes overgrowing the sidewalk. 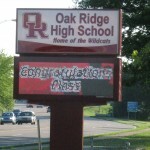 The bottom line is that there are many opportunities for improvement here in Oak Ridge! Regardless of physical infrastructure challenges, the Safe Routes to School folks recommend education as the primary ingredient of a Safe Routes to School program (see http://www.saferoutesinfo.org/guide/education/index.cfm). In the aftermath of Ashley’s accident, I think that our schools should be taking near-term measures to help our kids learn to be safer pedestrians, both to reduce the possibility of future tragedies and to help restore kids’ feelings of self-confidence and personal well-being that have doubtless been undermined by this incident. I know that the “safety city” activities have been successful here (however, I don’t know if they are still happening) in teaching kindergarteners the basics of pedestrian safety, but kids need to learn to deal with increasingly more complex situations as they get older and become more independent, and our schools no longer have programs like the safety patrol that instilled safe behavior in so many of us when we were kids. I am pleased to hear that the Police Dept. school resource officer is helping to conduct school assemblies and other programs to coach kids on safe pedestrian behavior (it seems to me this should include what might be called “defensive walking” and “defensive biking”). Another Safe Routes to School recommendation is to map “safe routes” for kids. A “good example” on the Safe Routes to School websites tells that “The city of Phoenix, Arizona, works with parents and schools to create Safest Routes to School Maps. The maps are used to show parents and students the recommended walking routes and crossing locations for students living within the walking attendance boundary. The maps help city officials identify priorities for sidewalk repair. If the missing sidewalk has been included in a walking path on the Safe Routes to School (SRTS) walking plan, the city builds the missing segments. Through this process, several miles of missing sidewalk segments have been built.” I would like to see Oak Ridgers create “safest route to school” maps to help parents and kids, inject some reality into the school system’s walk zone lists, and help identify and prioritize needed improvements to sidewalks and intersections, at the same time that we start to implement the many additional excellent suggestions that are being compiled by residents and city officials. I believe that if the City Council decides to use this money for the Crestpointe project or another commercial development, the action could be challenged in court — and that legal challenge would have a high probability of success. Furthermore, I am sure that many citizens who voted for that 2004 referendum would conclude that the City had violated the public trust. The tax approved for the high school should not become a slush fund for City officials, and the City’s governing body should not take deliberate actions that subject the City to serious litigation risk. There are valid reasons for limitations and controls on the expenditure of public money. Without restrictions on investment of public funds, the logical next stop in CrackerNation’s reason would be to say that Oak Ridge citizens should not care if city staff withdraw money from the city treasury and take it to Las Vegas to “invest” at the roulette table, as long as they expect to replace it before the money is needed for other purposes. Subsidizing a private development with money dedicated to a school project is a large step down that dangerous path — let’s not take that step. “I am positive you can loan this (debt reserve) money to yourself and pay it back, and that’s what we’re talking about here,” Deputy City Manager Steve Jenkins said. City bond counsel Mark Mamantov said the city’s sales tax increase for schools “has been supplanted” by a county sales tax increase approved in a later referendum. It is interesting that Jenkins said “you can loan money to yourself and pay it back.” Anyone who has ever borrowed money knows that it needs to be paid back with interest. When one city fund borrows from another, the money should be paid back with interest. However, Jenkins has claimed in earlier discussions that this is not really a loan (and therefore need not be paid back with interest). Krushenski correctly says “it’s not a deal-killer” (presumably meaning that if the bond issue referendum passes, the city could go back to its original plan of borrowing the full $6 million and using it for this project). However, the city continues to promote the idea of a full payback from property tax alone over just 15 years, which depends on (among other questionable premises) the false notion (promulgated by city staff) that the city can borrow $8 million from itself interest-free. Regarding Mamantov’s comment, back in 2004 it was expected that the county would supersede sooner or later (for example, see my earlier comments at http://www.ellensmith.org/forum/viewtopic.php?t=12), with the result that annual income to the school debt service fund would drop off after the first few years. Unfortunately, the county superseded sooner instead of laterâ€¦ I donâ€™t recall anyone telling the citizenry in 2004 that after the county superseded the tax, the cityâ€™s use of the money would no longer be restricted to its dedicated purpose.